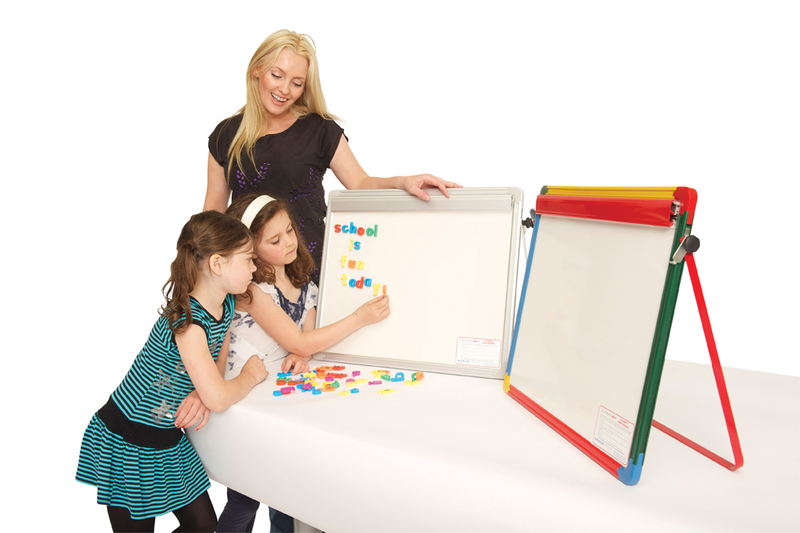 This desktop easel whiteboard has a magnetic surface and anodised aluminium frame. The whiteboard is 600mm wide x 450mm high and has a flipchart clamp to hold size A2 pads. Ideal for table top use this easel folds flat for storage. Designed for use in schools, pre-schools and nurseries.